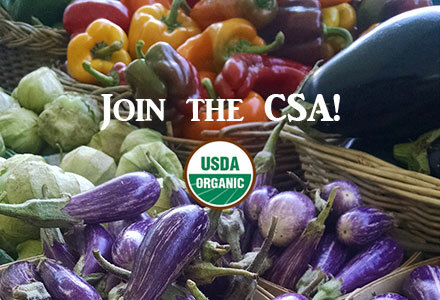 Last year Denison Farm CSA consisted of a group of some 400 members. 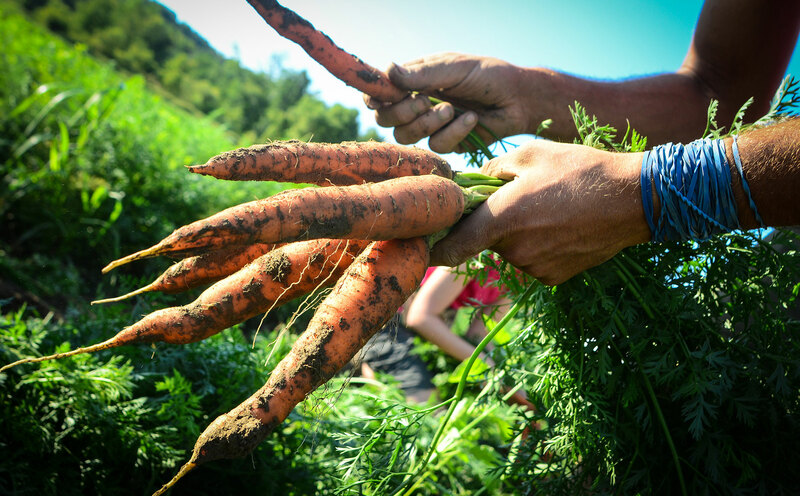 This season we anticipate the same and look forward to providing families in the Capital Region with locally grown, organic produce. We are farming 25 acres of USDA Certified Organic vegetables, herbs, some fruit, and cover crops in the most sustainable and ecological way we can. Denison Farm currently is certified through NOFA’s Farmers’ Pledge and by PCO. Please look online at the NOFA-NY and PCO websites to learn more about both organizations. * A limited number of working shares are available at a $40 discount, as are low-income shares at $495/share. You must call the Farm to confirm availability of working or low-income shares. Please do not submit our paper registration form for working or low-income shares until you have first confirmed their availability. Prefer to pay by check and paper form? You don’t care for an online form or online registration is not available. You wish to pay by check. If one or more of those situations apply, please print, complete and return (with check payment) our paper Membership Agreement. Fruit, Egg & Flower Shares will not be available at the Troy Farmers’ Markets on Saturdays. Fruit, Egg & Flower Shares will be available at all other sites. Pickup is on Wednesday except Saturday pickup for the Saratoga and Troy Farmers' Markets. Fruit and Egg Shares will not be available at the Saratoga and Troy Farmers’ Markets on Saturdays. Individuals who choose to come to the Farm to pick up their share enjoy a $25 discount off the regular $585 vegetable share price. All shares will be boxed. Fruit, Egg and Flower Shares will not be available at the Troy Farmers’ Markets on Saturdays. Fruit, Egg & Flower Shares will be available at all other sites. If you love the eggs, maybe you'd like more than a dozen! We already know you want at least 1 egg share. Please indicate how many ADDITIONAL egg shares you'd like. If you love the fresh, organic fruit, maybe you'd like even more! We already know you want at least 1 fruit share. Please indicate how many ADDITIONAL fruit shares you'd like. We already know you want at least 1 flower share. Please indicate how many ADDITIONAL flower shares you'd like. Every dollar helps to get fresh food to low-income families. Thank you for your generosity! Yes, please add 3% to my total to defray fees charged to the Farm by PayPal. No, I can't help the Farm at this time. Did you know Denison Farm is charged a fee on every online payment? While we love to offer you the convenience of credit card payments, those fees add up and really take a toll on the Farm's bottom line! I understand that I am committing to the 2019 growing season (22 weeks) and shall share the risks and bounty of the Farm. I also understand that it is my responsibility to pick up my share each week at the distribution site chosen or my share will be donated to the Squash Hunger Program or to an alternative food pantry. I have read and understand the 2019 CSA Member Handbook. Click to view/download the Handbook. When you click on the "Submit & Pay" button, you will be taken to PayPal to complete a secure transaction in the amount of the "Total Amount Due". You do not need a PayPal account.